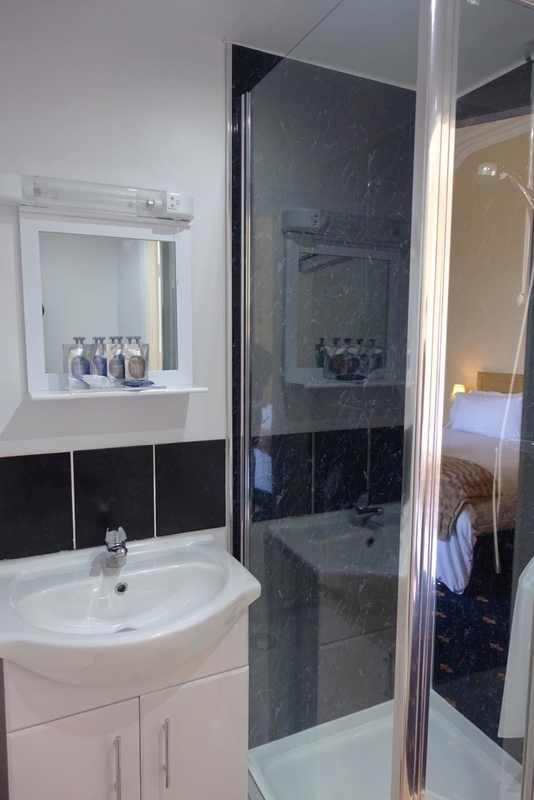 All our rooms are en-suite and equipped with shower en suites, widescreen TV, DVD player, hospitality tray, and other amenities to make your stay an enjoyable one. Most of our bedrooms have sea views at no extra charge and our two ground-floor rooms are perfectly suited for guests who prefer not to use steps and stairs. Room 1 A beautiful double room on the first floor with sea view and a bay window with seating area. 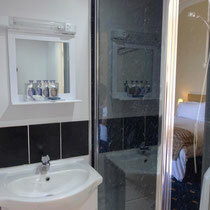 A modern and compact shower en suite complete this very popular room. Room 5 A very spacious first floor room set back a little from the front but still with a sea view and lovely large original window. Room 2 A lovely sea view twin room (2 single beds) on the first floor with a modern shower ensuite. Room 3 Although not at the front, Room 3 is a beautifully decorated, spacious double room on the first floor with a modern shower en suite. Many guests comment on the decor and it's one of our favourites! 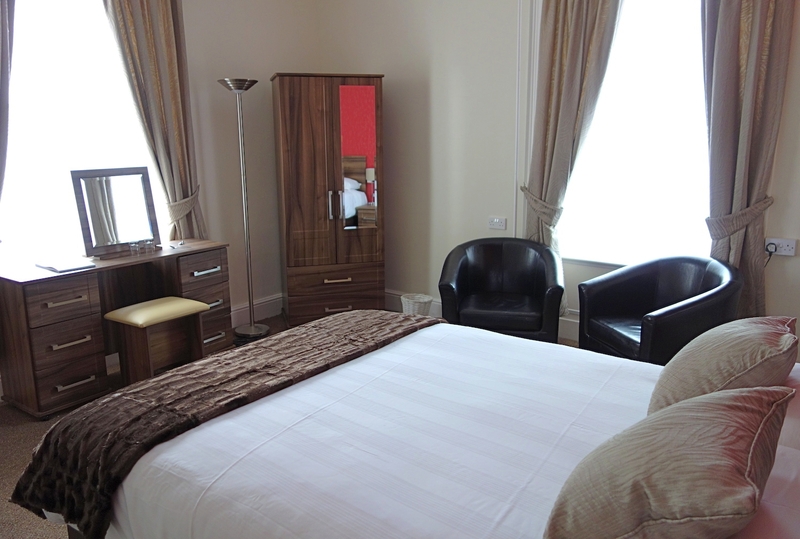 Room 6 A stylishly decorated double room on the first floor with very spacious shower en suite. If you like a big bathroom, this one's for you! Room 11 Our extremely popular ground floor room with either king size or twin bed configuration. A bay window, seating area and compact shower ensuite complete this lovely and accessible bedroom. 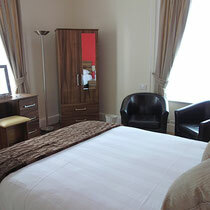 Room 12 Our rear ground floor twin room is located just off the Breakfast Room and features a spacious shower en suite. Ideal for guests who would prefer not to use steps and stairs.